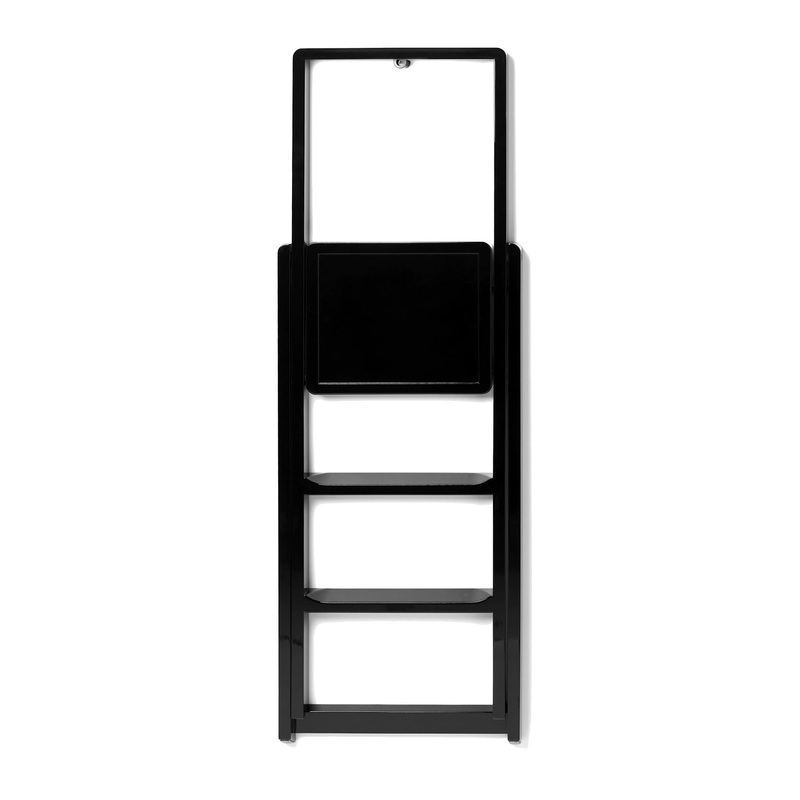 We love this ultraslim minimalist step stool by Design House Stockholm. Functional yet decorative, fairly lightweight, fits nicely in tight spaces, a standalone object in high gloss color. No home is complete without a step stool, and this modern step stool is both ultraslim and easy-on-the-eyes. While not in use, Karl Malmvall's 'Step' step stool folds to just 2"! Availalble in high-gloss Red, Black, or White. Supplied with a peg for wall-mounting.